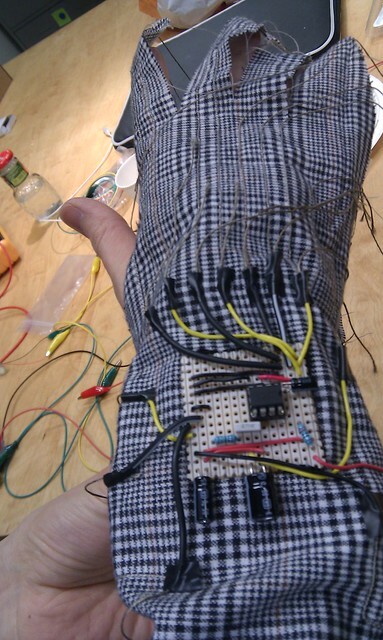 We have been working on the gloves project this week and made some progress. 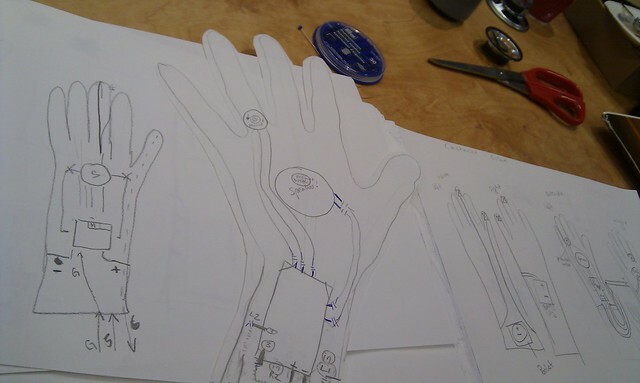 First, we sewed the conductive thread to the inner fabric layer of the gloves, and soldered the amps onto the circuit boards (after failing twice, we got it right on the 3rd time). After that we tested the connection between the thread on the layer and the i/o of the circuit. 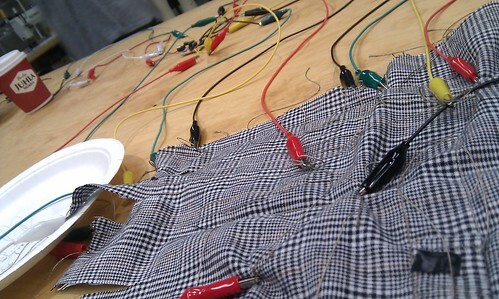 Finally after paying with dream jackpot kasino, we started sewing the circuit and the connections onto the inner layer. 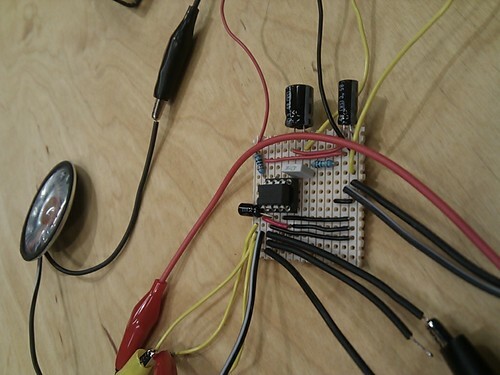 The sound produced with thread connections was not as loud as wire connections, although the thread was quite short there’s still some resistances that reduced the amplitude. 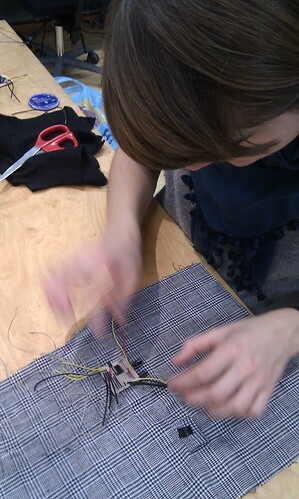 A lot of discussions and thinkings took place before sewing the conductive thread. For example, for the piezo pair, there were 13 thread lines that went into the circuit board. This was one of the major challenges as the space on the back of the gloves was limited, so we needed to carefully plan the placement of the thread to avoid crossing that would cause unwanted connections. 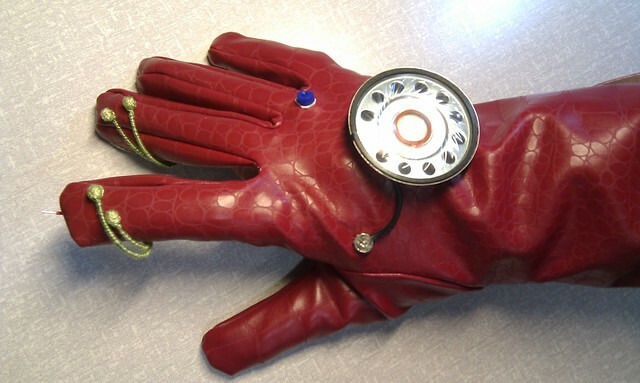 This entry was posted in Sound Gloves by chi-hsia. Bookmark the permalink.